If you love sourdough like I do, but you've gone on a gluten-free diet, I have some great news for you. Yes, you can make gluten-free sourdough from this Gluten-Free Sourdough Starter and there are no special ingredients to buy! I'm convinced that gluten is a big health concern for many, but I still love good bread. And while this flax bread is super tasty, there's just nothing like a good sourdough. In order to prepare myself for this post, I wanted to put myself into the shoes of someone who is gluten free. When most people think “gluten-free,” they think that bread is no longer an option–particularly breads like sourdough. Basically I wanted to think about what it would be like to be gluten free. With a lot of butter. And I realized how much I would miss it if I weren't able to eat bread like this on a regular basis. I'm not trying to rub it in anyone's face – quite the contrary! I know how fortunate my family is to be able to eat whatever we want without breaking out in hives or keeling over in digestive pain. – worry about being sick for days because someone accidentally contaminated a cooking spoon! I think I can understand your pain. That's why it truly brings me joy to share with you a way to have your cake–er, bread–and eat it too. Gluten-free sourdough, baby. Oh yeah. Imagine capturing wild yeast out of thin air and cultivating it over a period of several days so that without any help at all, it will magically make dough rise and become a beautiful (and relatively inexpensive–) gluten-free loaf of bread. 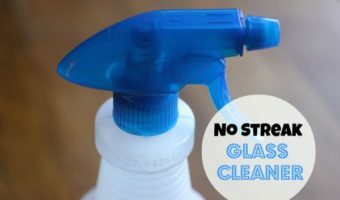 It really isn't as hard as it sounds! But it is incredibly healthy! Quite possibly the healthiest bread you can make! Most of the phytic acid in sourdough is broken down, reducing the effects of nutrient-binders on other foods in your diet. Since sourdough takes longer to digest, it doesn't cause as much of a spike in blood sugar as traditional bread does. Since sourdough functions as a prebiotic, it helps support healthy digestion. Souring the dough reduces the amount of the amino-acid asparagine that is a precursor of acrylamide formation, and acrylamide is a cancer-causing ingredient found in toasted grains, including bread crusts. So with sourdough, you can enjoy your bread crust with less acrylamide. Please note that there are affiliate links in this post. If you click on them and make a purchase, I will make a commission. Making a gluten free sourdough starter isn't any different than making a regular sourdough starter. – Both start with flour and water. – Both take a few days and both get bubbly. 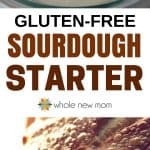 – The only real difference comes when you're ready to make sourdough bread and you have to pull out all the various types of gluten-free flours. 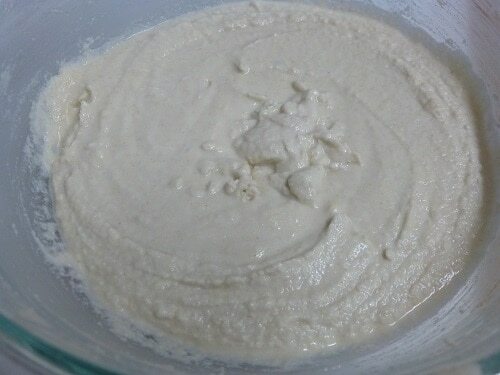 Gluten free sourdough starter can be made in as little as seven days using gluten-free flour, water and a medium-sized bowl. 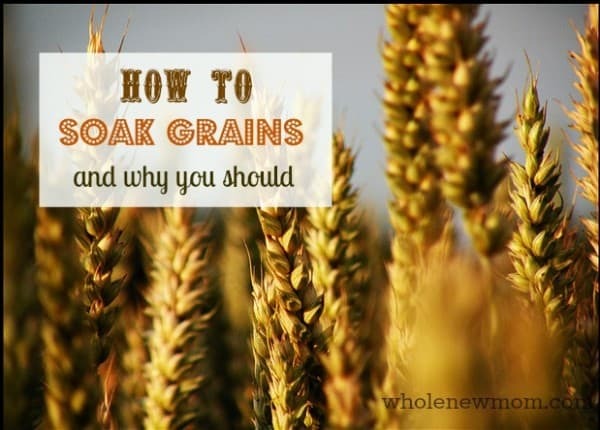 I personally have successfully made gluten free sourdough starter with brown rice flour, but I've read others have had success with white rice flour, teff flour, sorghum flour, or even a gluten-free all-purpose blend. Typically, in the same way that using a blend of alternative sweeteners will work best when substituting for sugar, using a variety of flours will work best for your gluten-free sourdough. Following are a variety gluten-free sourdough bread recipes for you to experiment with. Because in all honesty, all sourdough breads – with or without gluten – are an experiment. A tasty experiment you can top with butter. Keep in mind that every recipe will be different, calling for different types of flour and possibly using yeast. 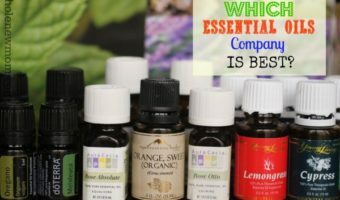 I've included several sources so that you can find something that suits you! Since this post was published, several readers have asked if you can make sourdough starters without grains. Well, the good news, is–YES YOU CAN! To do this, you will need at least 1/3 of your flours to be a starch like tapioca, arrowroot, or maybe cassava flour. Starch is what feeds the yeast so that is the reason behind this requirement. Ingredient Amounts: The amounts we give in the ingredient list are the amounts you will need if you only feed the starter twice a day, which is the least number of times you should feed it. So if you feed it more often, you will of course need more flour and water. Flour: Gluten-free flour blends (just like with alternative sweeteners like stevia) tend to work best when used in conjunction with others. So it's best not to try to make this sourdough starter or sourdough with only 1 GF flour. Personally, I recommend using a blend of flours. As you can read in this gluten-free baking tips post, using a blend of flours tends to make baked goods turn out better when using alternative flours. Grain-Free: For a Paleo Sourdough Starter or AIP Sourdough Starter, just use organic cassava flour or organic tiger nut flour in place of the gluten-free grain flours. 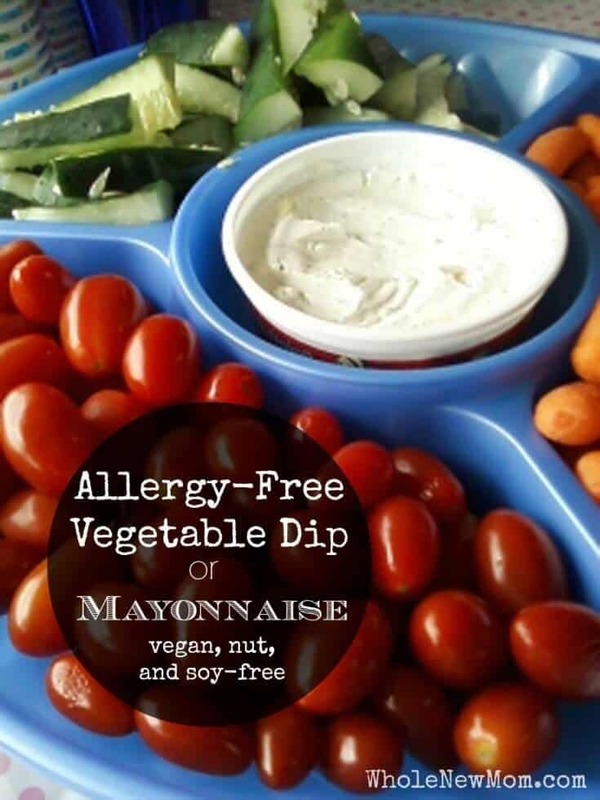 THM: This recipe is an “E” for those on the Trim Healthy Mama plan. 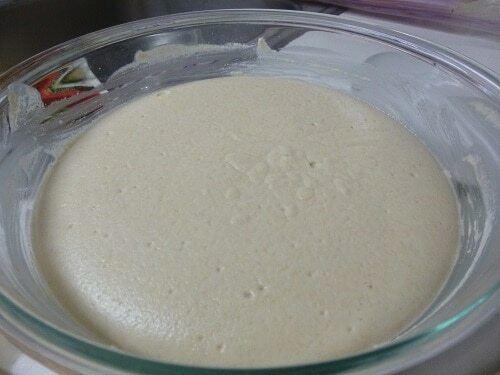 If after a few days the starter begins to outgrow the bowl, pour some off to make a batch of sourdough pancakes. Leave at least 1/2 cup of starter in the bowl to continue feeding. 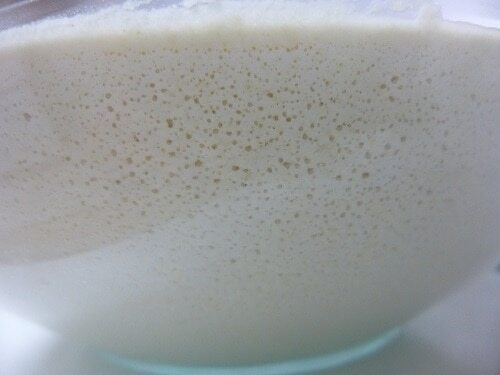 No Bubbles – If you do not see bubbles at the top or at the sides of the starter, add a third feeding. Try to keep the feeding intervals equal. For example, 6am, 2pm and 10pm are all equally apart at 8 hours. One thing you can do is to add one to two tablespoons of water kefir, dairy kefir, kefir whey or kombucha in place of the water for just one feeding. Since you are adding more bacteria “goodies” to the mix, you are boosting fermentation action. Following are some images and some brief info about how to do this. Full instructions are below :). Step 1. 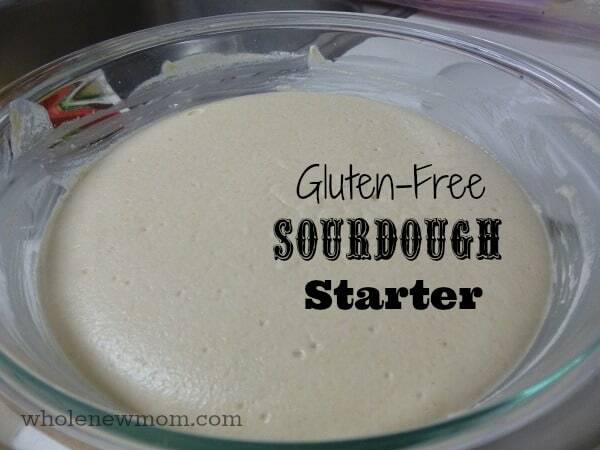 Combine flour (whatever gluten-free flour or gluten-free flour blend you like) and water. Love sourdough but you're gluten free? This Gluten-Free Sourdough Starter is so easy - you can have tasty sourdough bread ready right away. Combine 1/2 cup flour (whatever gluten-free flour or gluten-free flour blend you like) and a scant 1/2 cup filtered water in a medium to large bowl. Whisk until smooth and cover the gluten free sourdough starter with a plate, leaving approximately 1/2" gap for air to circulate. Set the bowl in a warm area where it will not be disturbed. A kitchen counter, pantry cabinet, or patio will all work. At least twice a day for the next six days, at regular intervals, add 1/2 cup of flour and a scant 1/2 cup of filtered water to the existing starter. Mix until smooth, and cover. This is called feeding the starter. Make sure to watch your starter carefully. When your gluten-free sourdough starter is very bubbly and creates a dome on top 2-3 hours after each feeding (like the above picture), you are ready to make bread. This is often called the sponge. Don't Feel Like Making Your Own Sourdough Starter? I know how it goes. It's exciting to think about doing everything yourself, but then you just might not get around to it. If that's how you're feeling after reading this post, you can just buy this Gluten-Free Sourdough Starter and have it all done for you. 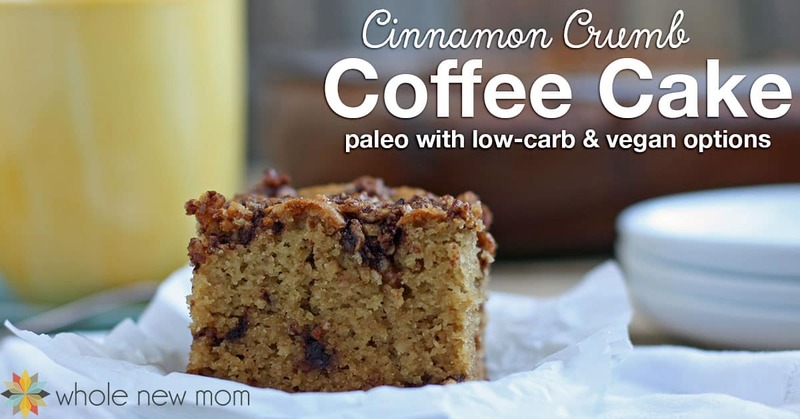 Or, it would make a great back up to have in your pantry too! Tiffany is a frugal foodie, balancing the desire to feed her family healthy food while being a good steward of her finances. She realized it was possible to eat nourishing, traditional food on a budget if she made baby-sized changes in the kitchen. 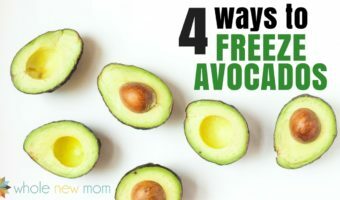 She continues to work hard at mastering real foods without going broke and shares her journey at Don’t Waste the Crumbs. I have a very strong regular sourdough starter, containing wheat. Do you think that I if I would start to feed it with gluten-free flour, it would be OK to make gluten-free bread or it would be better to start all over? (I would like to give it to a gluten sensitive person, not suffering from a cealiac illness. Hi there – actually homemade sourdough is never considered to be safe for celiacs so I would not recommend that. There is no way to verify that enough of the gluten was removed from the bread. Definitely start over. Thanks for reading! Can this gluten free sourdough starter be used to make wheat bread? Or should one use a wheat sourdough starter to make wheat bread?? I don’t see why not! Good question! Thank you for the article on gluten free starter! 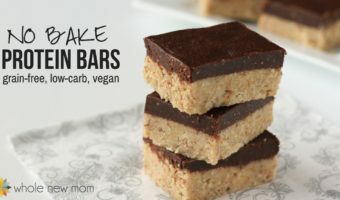 My daughter can not eat any kind of bread, so I feel this approach towards gluten free baking will be very beneficial for us. God bless you! 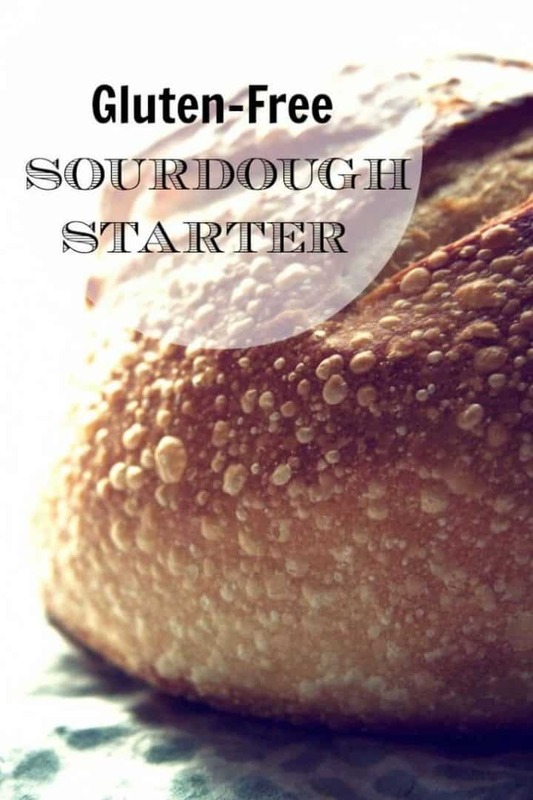 So how do you make dough with the starter? Hi Celia, there are a number of sourdough recipes in the post. Let me know if you can’t find them. 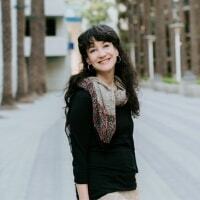 I hope to add some to my blog in the future! Thanks for the recipe. I am excited to try it. So when I have the starter ready to make into bread what comes next? What do you put the dough in, what are the cooking instructions? You are so welcome. 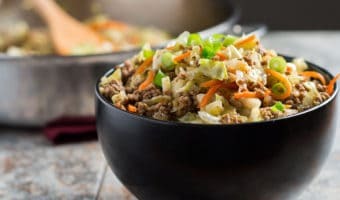 There are a variety of recipes linked to in the post–let me know if you need more assistance. Thanks!